Doug and Lane were very hands on in planning their 50 Anniversary party. 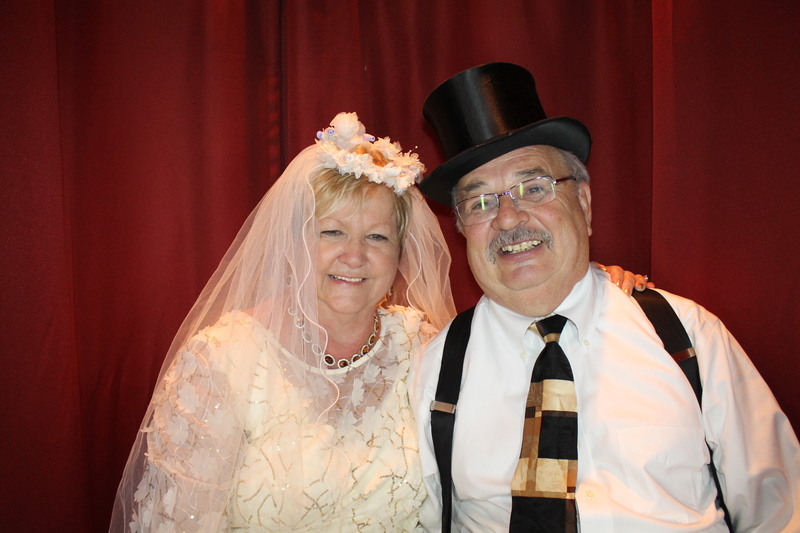 This popular and personable couple wanted their family and friends to enjoy the celebration and they pulled out all stops to achieve just that. 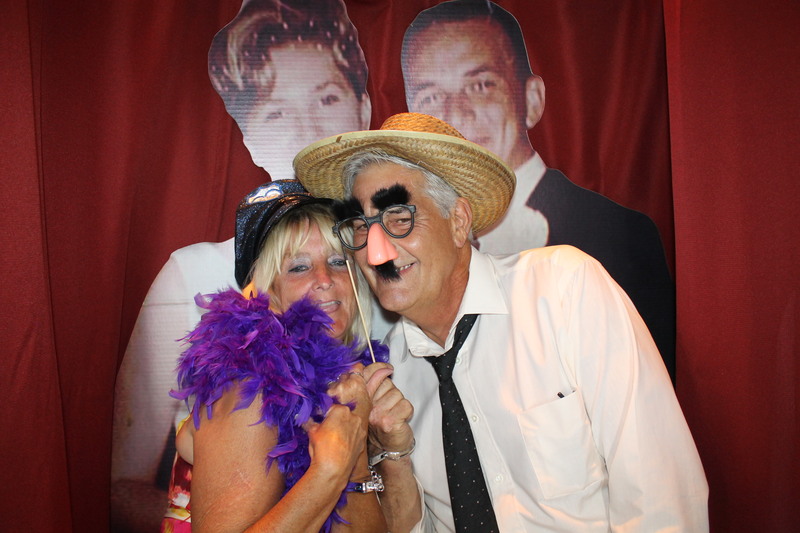 Venice Photo Booth was honored to have a part in their plan and we enjoyed getting just about every guest into the booth and their photos into the Memory Photo Album with their congratulations and comments. Placed around the room were larger then life photo cutouts of Lane and Doug at their wedding (50 years ago), at their 25th Anniversary party and some taken now. Later in the evening, we snatched the life size pictures from their wedding and used them as a backdrop in the Photo Booth. That turned out to be a lot of fun and had many of those already in the booth coming back for a sitting with the “1965 Newlyweds”! After being presented with their memory photo album, the honored couple didn’t wait until they got home, instead they immediately started reviewing the happy images and special comments. We loaded out to the sound of laughter. Help us to Reach 450 Likes on facebook.